The Bome team is wishing you a happy New Year! And we thank you for a successful and exciting year 2018! We’re happy to announce a new BomeBox firmware 1.3.2. It allows switching translation project files using the Execute File outgoing action. Check it out in BomeBox Downloads. Also this year, we have a small but exquisite booth at the NAMM show in Anaheim, CA, USA, January 25-28, 2019. Please come by and say hello, or schedule a meeting. We’re located at the entrance between halls A and B. We do have a few free NAMM tickets reserved for our customers, just drop us a line (first come, first serve). And now back to translating MIDI! Check out our new BomeBox tutorials: Use a QWERTY keyboard as a MIDI controller, and Create MIDI Translator Mapping for the BomeBox. And we’ve posted a minor new BomeBox firmware 1.3.1 with updated QWERTY mapping files. Now up on YouTube: the BomeBox tutorials series. Watch the first tutorial: BomeBox Unpacking and Initial Setup. Recommended for everyone to get started with the BomeBox! Introducing Allen & Heath professional mixer support! We’re happy to announce that the BomeBox now provides MIDI connectivity to Allen & Heath digital mixers of the dLive, GLD, and Qu series. Now, connecting the mixer to a BomeBox via Ethernet will let you use the BomeBox’es MIDI ports to access the mixer. All advanced MIDI routing capabilities of the BomeBox are available, too, and you can even connect multiple mixers to one BomeBox. Just upgrade the BomeBox to firmware version 1.2 (or later). The firmware is available in the BomeBox Downloads section. Every BomeBox can be upgraded using the new firmware. Questions? Discuss in our Q&A forum or contact us directly! We have just released a new Bome MIDI Translator Pro video tutorial: How to start a basic project. Recommended for everyone getting started with MT Pro! More videos coming soon! You can also subscribe to our YouTube Tutorials Channel to not miss them. We’re excited to invite you to SuperBooth 2017, a trade show and conference April 20-22, in Berlin, Germany. It’s all about synthesizers… come to the Bome table at H371! We can provide trade visitor tickets to you, please contact us if you are interested. We would love to meet you this week at the Pro Light & Sound and Musikmesse 2017 in Frankfurt, Germany! Please schedule a meeting to get hands-on with the BomeBox, or check out version 1.8.2 of MIDI Translator Pro. And of course, have a chat with Bome Software founder Florian Bomers! The next chance to meet us is at SuperBooth later this month in Berlin, Germany. We have just released a minor update of Bome MIDI Translator Pro. It mainly fixes an issue with mouse emulation on macOS and a crash when saving. This incompatibility was introduced by a recent macOS update in 10.11 (El Capitan) and 10.12 (Sierra). Thanks for that! We’ve also improved serial port support: now you can configure the port parameters on serial port aliases and create MIDI ports from serial port aliases. All these settings will be stored in the project file (.bmtp). Like that, using such a project on a different computer will instantly configure the ports as needed. Also, it works great for using serial ports attached to the BomeBox — with the upcoming firmware! There are also a number of minor improvements for macOS and Windows: check out the full version history. Owners of an MT Pro license, please log into your account (or create a new account) to download the new version. New users, check out the trial version. We’ll be at Musikmesse next week in Frankfurt/Germany, and at Superbooth April 20-22 in Berlin. Would be great to meet you! PS: our apologies if you’ve received this notification twice. We’ve had some technical difficulties. Hey gals and guys, we’ve just released the Bome Network tool for connecting to the BomeBox (mainly), and demonstrated some nice new MT Pro features at the NAMM Show two weeks ago. With the Bome Network tool you connect your favorite DAW or other MIDI software to the BomeBox from a Windows or macOS computer. It works with Bome MIDI Translator Pro, too! It’s free for connecting to a BomeBox. Bome Network Pro costs EUR 29 and lets you connect from computer to computer, too (much like Apple’s network MIDI/RTP-MIDI). Improved MIDI Router: create routes from MIDI Output ports to another Output (duplicate MIDI output streams), from Input to Input (duplicate incoming MIDI data as if it comes from another port, too), or from Output to Input (feed it back to the router and the processing engine). This will facilitate many connection issues! Improved Serial Ports: your serial port settings are now stored in the project file, and the MIDI-over-serial feature has been greatly improved. The best thing is: all these new features will also come to the BomeBox with a firmware upgrade! At NAMM, we’ve shown a smartphone running TouchOSC directly connected to the BomeBox via its built-in WiFi, where we’ve been running an MT Pro project translating the OSC messages to MIDI, and playing a synthesizer connected via 5-pin DIN. No computer necessary for your performance! Also, we will post an interim update of MT Pro to fix a few compatibility issues with macOS “Sierra” 10.12. PS: check out some impressions of our NAMM booth on our Facebook page. We’re very excited about the new design of our website! It comes with a fresh new look, a new Q&A section (phasing out the forum), single sign-on, and it’s mobile friendly. For rants or kudos, feel free to post in the Q&A section! We’re extremely happy to announce availability of the BomeBox™ in our web shop. It has come a long way, but this is just the start! Our introductory offer for the first production batch is €199 (approx. US$225) plus shipping, so get it while supplies last! Now we’re thrilled to watch the BomeBox ecosystem grow in studios, stages, theaters… Let us know your experiences and questions in the web forum or via email. We also have an extensive FAQ. We would love to meet you at the Musikmesse 2016 in Frankfurt, Germany! Please schedule a meeting to see the BomeBox prototypes in action, or check out the upcoming version 1.8.1 of MIDI Translator Pro, or just talk shop with Bome Software founder Florian Bomers. I have a very experienced electronics engineer working on it and we’re optimistic to eventually pass the tests! 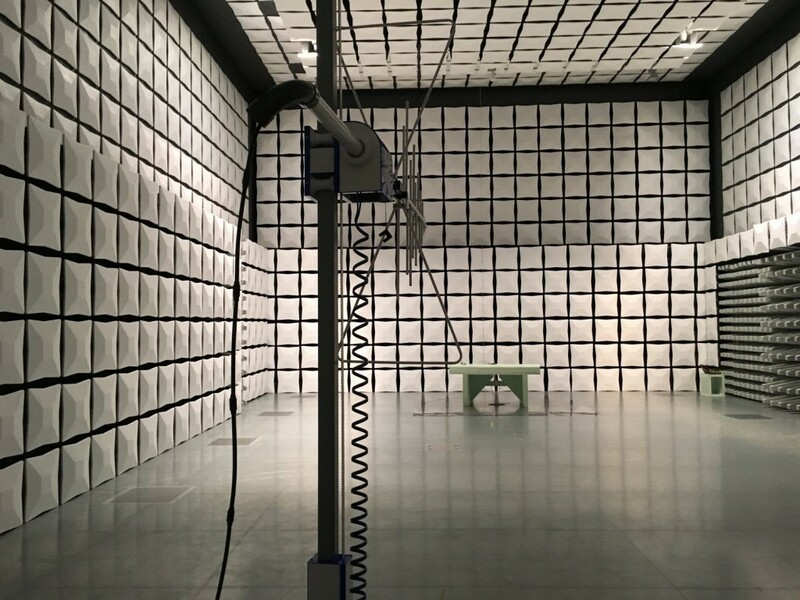 On the photo you can see the test lab. Barely visible is a BomeBox on the table. We would love to meet you at the NAMM Show 2016 in Anaheim, CA (January 21 to 24)! In our booth #1088 in hall E (downstairs), you’ll have the chance to chat with Florian Bomers, founder, and Jared Helfer, our tech suport guru! 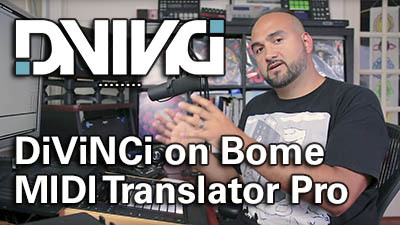 We’ll also show the BomeBox in action, and showcase the new MIDI Translator Pro features. For scheduling a meeting, please contact us directly. PS: we have recently discovered a new BomeBox production problem, delaying availability of the BomeBox. We’re currently working on a fix, with certification scheduled right before NAMM. Crossing our fingers! MIDI Translator Pro for Video Editing! Video peeps! Ever wanted to know how to use an affordable MIDI controller to control video editing software? No problem with MIDI Translator Pro: Tutorial on Pro Video Coalition: using any midi controller as a video controller in your editing software. The Bome Team is happy to announce version 1.8 of Bome MIDI Translator Pro! You can download the trial version for Windows and OS X now! If you own a license of MIDI Translator Pro and you have not received the notification email, please log in to retrieve your license key and to download the latest version. And make sure to check out the video outlining the user interface of this new version. At our booth at the NAMM Show 2015, we showed a few prototypes of the BomeBox in action. The production plan is on schedule (summer 2015), we’ll notify you when the BomeBox is available for purchase. And we’re working very hard on finalizing the next version 1.8 of MIDI Translator Pro! Contact us now to meet Florian Bomers, founder, at Musikmesse, Frankfurt, Germany from April 15 to 18. See the final BomeBox prototype and the upcoming MIDI Translator Pro version 1.8! We’re happy to present the BomeBox, a small friendly box to connect devices via MIDI, USB, Ethernet, and WiFi, using the full mapping and processing power of Bome MIDI Translator Pro. Check it out at the NAMM Show 2015 in booth #1086 (hall E)! Florian and the Bome team! Happy New Year from Bome Headquarter! 2) our first hardware product… stay tuned! Drop by at our NAMM booth #1086 in hall E.
The Bome team wishes you happy holidays! We’re very busy preparing for the NAMM Show where we’ll release our first ever hardware product… stay tuned! This review about Pro Tools has a section which outlines how you can improve your Pro Tools experience with Midi Translator. Meet Bome at Musikmesse 2014! Schedule a meeting now with Florian Bomers, founder, at Musikmesse, Frankfurt, Germany from March 12 to 15. A fantastic performance powered by Bome MIDI Translator Pro! We at Bome Software wish you all the best for 2014! If you attend the NAMM show in Anaheim, it’s a good opportunity to meet with Bome founder Florian Bomers. Please contact us to schedule a meeting. Schedule a meeting now with Florian Bomers, founder of Bome Software, at the NAMM Show in Anaheim, CA, from January 23 to 26. We at Bome Software wish you all the best for 2013! The CTRL+Console kickstarter project featuring Bome’s Midi Translator technology is funded successfully! and a couple of hours left to join too. Schedule a meeting with Bome founder Florian Bomers now for the NAMM trade show, Anaheim, CA, USA from January 19-22. We at Bome Software wish all our customers, partners and friends all the best for 2012! Vacation Greetings – After the Beep out now for iPhone/iPad/iPodTouch! Vacation Greetings – After the Beep! If you’re interested in meeting Bome founder Florian Bomers, please contact us with your mobile phone number. This promotion is only valid this weekend: get our iPhone/iPad app free of charge!